Call 620-682-9054 to schedule your first appointment. Miracle-Ear® is the place to go for hearing aids in Dodge City, KS. We’re America’s most recognized brand of hearing aids with over 1300 locations across the nation. We have a large selection of hearing solutions and can help you navigate it to discover appropriate solutions. We employ experienced, knowledgeable Hearing Care Specialists, and each of our hearing aid centers is independently owned and operated. The products vary in their level of discreetness. Some can be designed to match the user’s skin tone. We make our products with the latest innovations. Our hearing aids with GENIUS™ Technology have functions such as Wireless Windscreen to cut down on wind noise and VoiceTarget 360 to let wearers pick up conversations from any direction. They also process sound just like the brain does, letting listeners hear full sounds naturally. You can modify the bass, treble, hearing programs, and volume of your hearing aid with GENIUS™ Technology with the GENIUScontrol app. ** The app sends frequency signals to hearing aids and works without extra hardware. It's free to download and use, and it's compatible with any hearing solution with GENIUS™ Technology. Our hearing aids come with a warranty† and a 30-day trial†† period. You can get your money back within 30 days if you aren’t satisfied. Stop by our hearing aid center in Dodge City or call us to talk to our Hearing Care Specialists. We offer solutions for almost all levels of hearing loss. We also give customers lifetime membership that includes free hearing aid repairs and checkups. We’ll ensure that your hearing solutions continue to fit well and function appropriately. At Miracle-Ear, we’ll test components, install new batteries, clean hearing aids, and inspect ears for wax buildup. 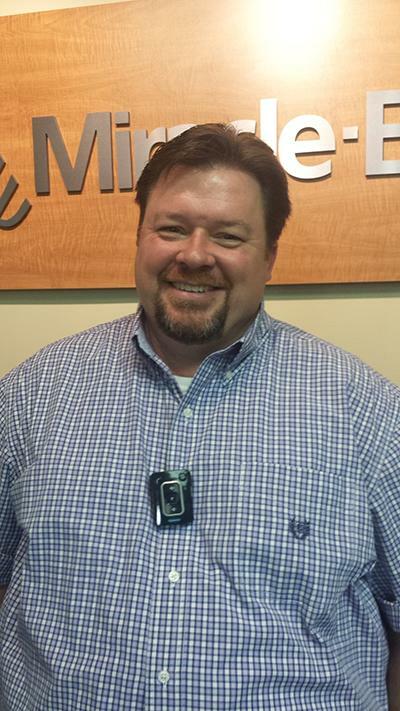 Tom Harmon is a licensed Hearing Instrument Specialist, member of the International Hearing Society, current board member of the Kansas Hearing Society, and the Miracle-Ear Platinum Group Top Rookie of the Year Award winner for 2013. Tom moved to Garden City in 1984 where he lived for several years going to Kenneth Henderson Middle School and Garden City High School before moving to Texas and then Arkansas. In 1991, Tom moved back to Garden City where he lived for ten years working in various occupations including stints at IBP and UPS. After living in Colorado for the better part of a decade, Tom moved back to Garden City in 2010 when he joined the Miracle-Ear system and became licensed to dispense hearing instruments in Kansas in 2011. He then purchased the Miracle-Ear franchise for Southwest Kansas in 2012. 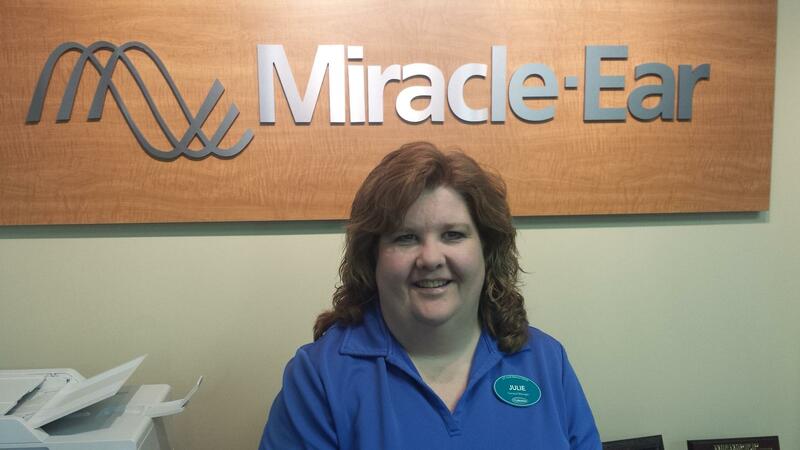 Tom met his wife, Julie, in 2012 while going through the vetting process to purchase the Miracle-Ear franchise. Tom and Julie were married in July of 2014. Together they have three sons, one daughter and two daughter-in-law's. Tom and Julie are proud new grandparents. Julie is the General Manager for Southwest Kansas Miracle-Ear. Julie started out in the hearing aid world after meeting Tom in 2012 and officially began with the company in May 2013. Before that, she worked in the legal field for 8 years in Garden City and Dodge City. Julie was born in Garden City, moved to the Dodge City area after her children were born and returned to Garden City after meeting Tom. Julie and Tom were married in July 2014. Together they have three sons, one daughter and two bonus daughters. Julie and Tom have finally entered the Grandparent Club. They welcomed their beautiful granddaughter in July 2017 and a grandson in December 2017. Julie enjoys reading, traveling, all kinds of sports, spending time with family and friends and now spoiling her grandchildren.